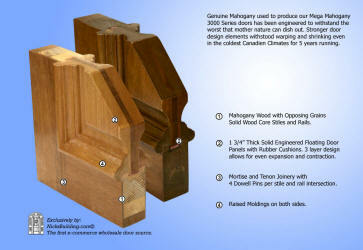 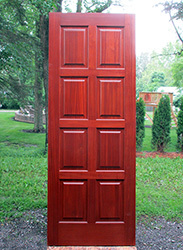 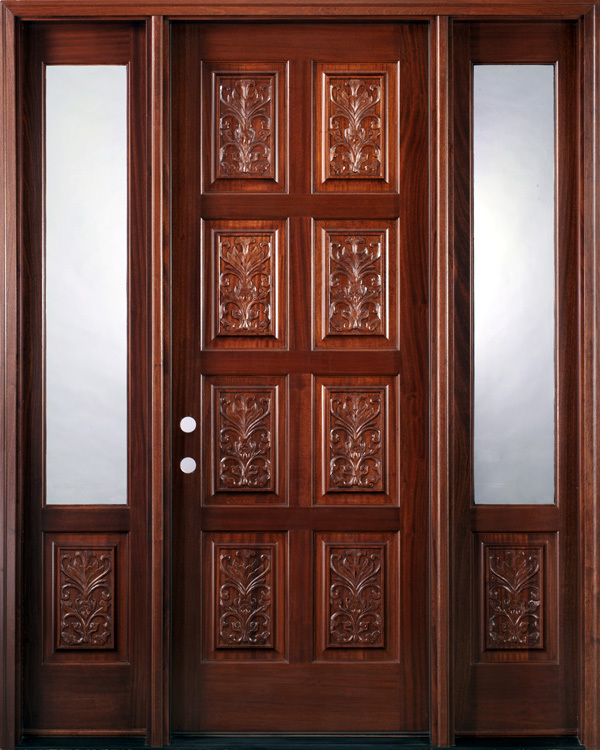 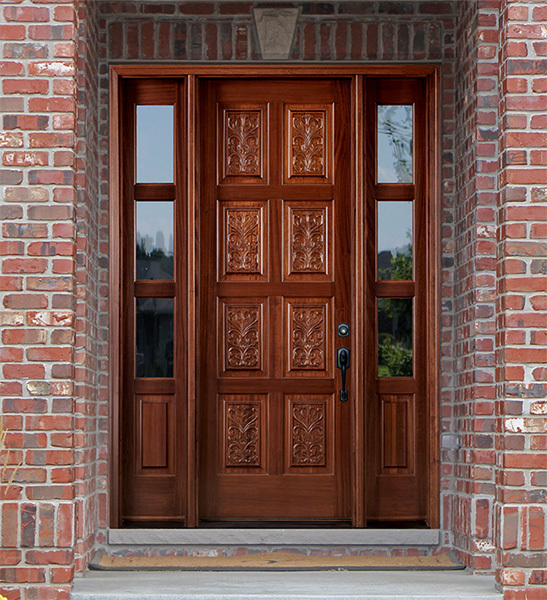 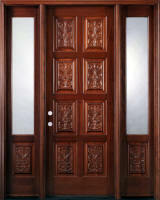 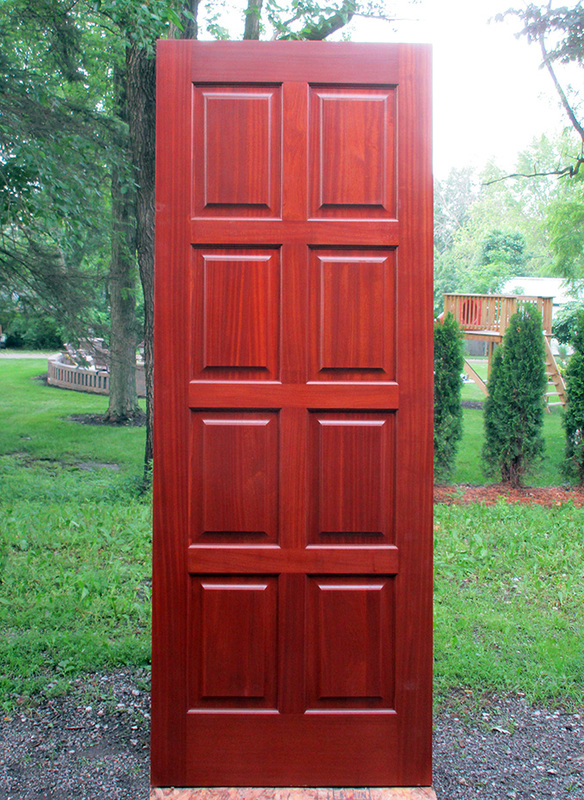 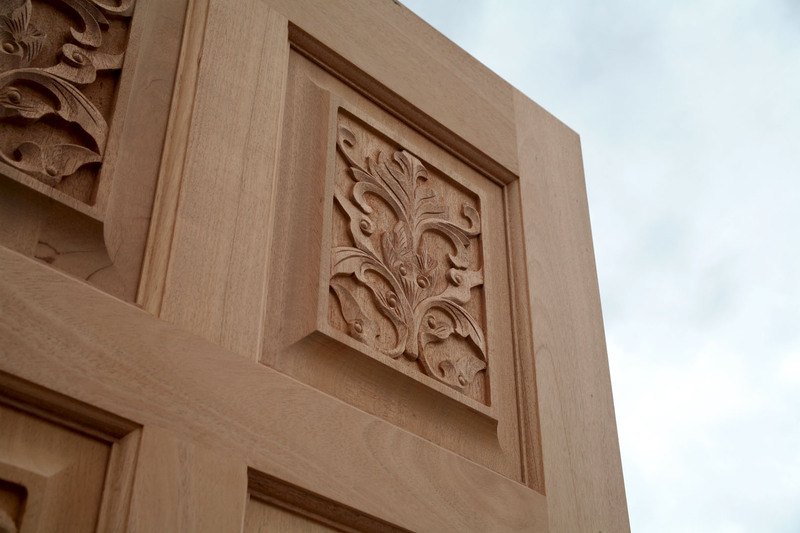 The Baltic Hand Carved Doors are Carved on Exterior Side Only. 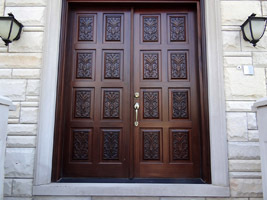 Wood Species:Sapele	[suh-pee-lee] A Fine African wood species and extremely durable, with a very high impact rating and very dense, with straight to wavy grain pattern. 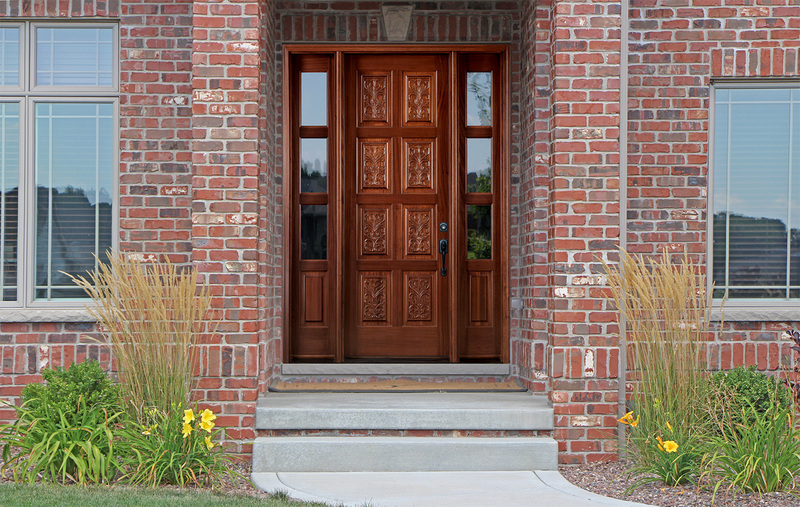 Sidelights widths:1 3/4" thick 12" ~ 18"
Glass: insulated clear tempered glass.